Under the European Performance of Building Directive, owners/operators of refrigeration-based air conditioning systems have a legal requirement for such systems to be assessed for energy efficiency. Not having the assessment report carried out could result in a fine. For systems exceeding 250Kw total cooling capacity, the deadline for assessment is 1/1/2009. For systems exceeding 12Kw total cooling capacity, the deadline for assessment is 1/1/2011. Inspection reports are required to be updated every 5 years. 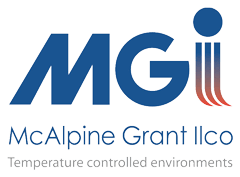 MGI Ltd is accredited by BESCA (Building Engineering Services Competence Accreditation) to carry out these statutory assessments on all sizes and types of equipment.